A day at the movie featured Mall of America in Minnesota for a woman and her five-year-old son, took a life-changing turn just 17 minutes after the doors opened. According to police, the young boy had suffered “significant injuries” after falling from the third floor. Investigators believe he was thrown from a the balconies, confirmed by multiple witnesses. 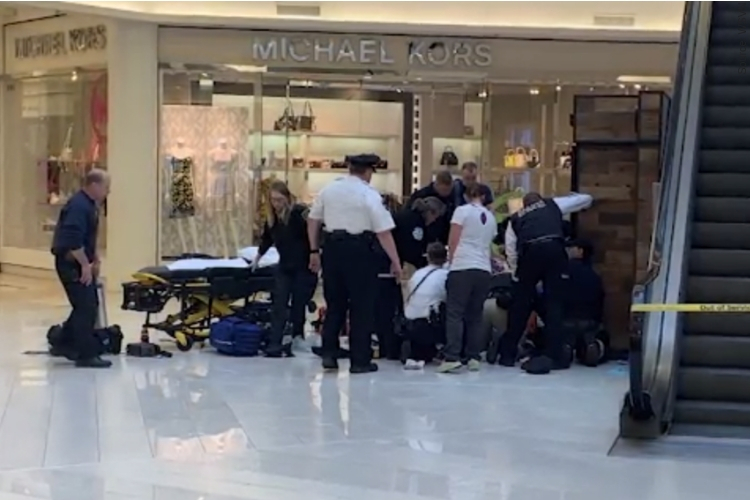 Just around 10:15 am on Friday the cops were called to the mall in Bloomington after the boy had landed on the first floor, confirmed Bloomington Police Chief Jeff Potts in a news conference. According to Potts, the suspect a 24-year-old man has been arrested after trying to flee the scene. Police have identified Emmanuel Deshawn Aranda as the suspect who is being charged for attempted homicide. The interesting part of the situation lies within the relationship between the man and the boy. According to authorities, the two had never meant. “At this time the suspect does not appear to be known to the victim or the victim’s family,” the news release announced. The police are conducting a full investigation and have partnered with mall officials to try and obtain any video of the attack. “This was a senseless act and words cannot truly express our profound shock and sadness,” the Mall of America released in a statement Friday afternoon. “Our immediate and only concern is for the well-being of the family and the child, as well as for any individuals who may have witnessed the incident. We have counseling services available for anyone who may need assistance,” the statement continues. The little boy who was thrown three stories continues to be treated for critical injuries. “This is just under a 40-foot fall,” Potts told the reporter. As stated in the police report, investigators do not believe there is any relationship between Aranda and the child; however, the suspect was found to have a history with the local police. Back in July 2015 he threw a heavy object from one of the higher floors at the same mall and was arrested for obstruction, disorderly conduct and damage to property, according to the Bloomington Police. Emmanuel Deshawn Aranda, 24, has a history of mental health problems and had twice been banned from the mall for two separate incidents.